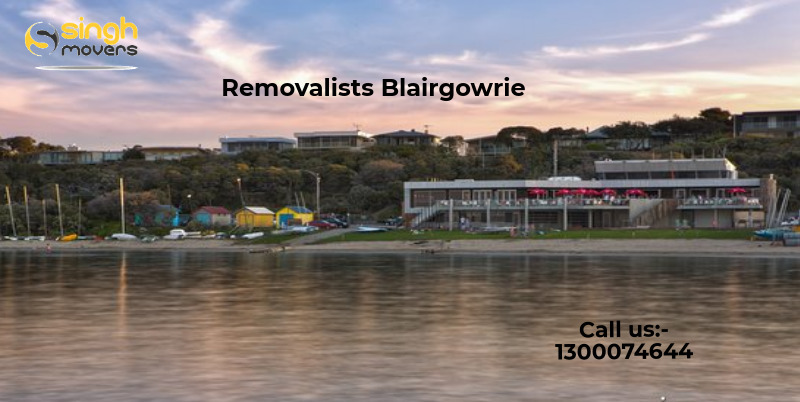 If you are planning to shift to a totally new state and seeking removalists in Blairgowrie, then we are the best option for you. We understand that relocating your furniture can be a very tough task and you cannot easily trust anyone in handling it. But don’t worry, we make sure that you do not have to face any complications while shifting your furniture. Thus, we have a solution to all your problems. We make your work of furniture removing easy by providing swift and door to door service. We make your furniture shift easy by providing all sorts of services that you require. To whichever part in Australia you want to shift, we make it happen. Ours is a team of experienced and skilled workers who work effortlessly and dedicatedly to ensure that your transit smooth and hassle-free. So, if you plan to hire a removalists Blairgowrie, then Singh Movers is ready to serve you anyways. We work very efficiently to accomplish your task of shifting your furniture removing to any part of the country. From packaging to unloading you do it all. You do not have to worry about your valuable assets while handing them to us. We believe in rendering qualitative services to our customers without giving them any kind of tension or stress. At Singh Movers, we guarantee you complete satisfaction in our work. Once we start working with you, you do not have to regret it. We work wholeheartedly at any point of the day to manage your work. Once with us, you will never repent. So, if you are burdened with the task of shifting and looking for a removalists Blairgowrie, then we are the right choice for you. All these removing services can be needed at any time. So, if you are searching for even any of these then we provide one single platform to you. Even if you are searching for multiple options then we can provide you with all. We also have storage facilities in case you temporarily want to store your furniture for a brief period. Our prices are also very economical specially tailored for your pockets. You can check the price in our quotes. In order to ensure the safety of your furniture, we make use of adequate packaging material which can handle even your most fragile stuff. We make use of bubble wraps, trollies, dollies and heavy-duty blankets to shift your expensive and valuable stuff. Our workers are quite professional in this work and they provide fast service to our customers. Hiring a furniture removalists never goes wasted as they reduce your stress of shifting and relocating by acting as a source of convenience for you. So, if you are in a need of furniture removalists in Blairgowrie, then we have a remedy to all your problems. We will provide you with the finest of our services and ensure that your furniture is properly packed and transmitted to your desired location without any difficulty. Your satisfaction is our happiness. So, if you want to hire us then you can call us anytime and we will be there at your doorstep ready to serve you. We provide 24x7 services to our customers and do not let them down. So, hire us today and we will be sure they're at your service. WHAT ALL DOES FURNITURE REMOVALISTS BLAIRGOWRIE, SINGH MOVERS AND PACKERS OFFER? You will not be asked for any depot to depot charges as it is only our team who will reach you and why we will ask you to pay for that. SINGH MOVERS will never ask you to pay for any type of fuel charges as AFFORDABLE Interstate Removalists will offer you with every possible facility that we can and will not charge you for any type of extra stuff. Interstate Movers of Singh Movers And Packers Company treat their every customer as their family and complete their work with proper safety and using different types of professional tools. SINGH MOVERS also have professional trolleys and ramps for the shifting of various types of upright pianos. We will solve your every problem. You can call or mail us at any time you want to as we are available round the clock for our client’s assistance. · SECURE TO MOVE YOUR BELONGINGS: SINGH MOVERS can be fully trusted for the safety of the stuff as they plan, pack, and unpack the stuff using professional tools and by undertaking proper safety measures. Have faith on us and call us to hire for the Interstate Removalists SERVICE. · QUALITY FURNITURE REMOVALISTS: We along with INTERSTATE REMOVALS provide many other facilities like office relocation, moving interstate whether an office or a house, storage facilities etc. Blairgowrie is a seaside village approximately 87 km away from Melbourne, Victoria, Australia. The local government area of Blairgowrie is the Shire of Mornington Peninsula. The population is 2316 according to the 2016 census and the density is 367.1 per square kilometre. The state electorate being the Nepean and the federal division being the flinders. Blairgowrie was named after the Burgh of Blairgowrie, the largest town in Perth and Kinross, Scotland. A post office was not opened until 1 November 1947. Blairgowrie suburb is located near the western tip of peninsula Mornington and is one of the famous holiday destinations for the residents of Melbourne. This suburb is bordered on the north by Port Phillip and on the south by the Bass Strait. All of the Blairgowrie residents, do not panic and hesitate and be free from all of the Furniture Removals work as Singh Movers And Packers are always available for you to serve you with the best possible work. So give us a call and get the assistance 24/7 from our expert's team.